This incredible statue weights more than 450 tons, was made from titanium. The giant statue is 203 feet upon the museum building with the overall structure measuring 335 feet. Kiev offers so many amazing attractions and historical places to discover for newcomers. 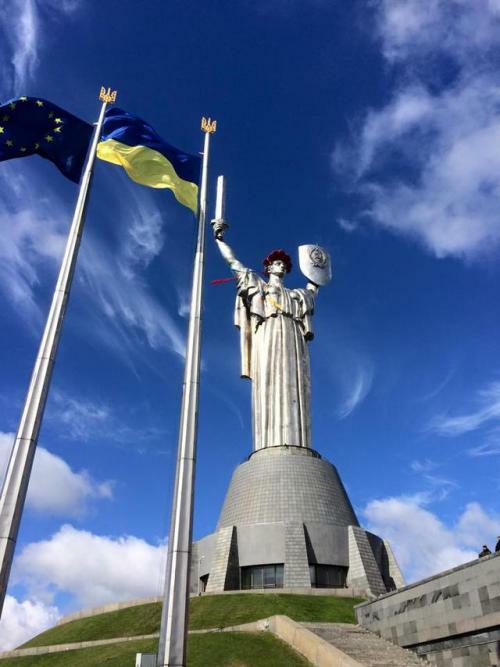 Kiev is not complete without Mother Motherland Statue that attracts millions tourists over the world. When you will find yourself in Kiev, you may see the highest statue that belongs to the ten highest monuments in the world. The impressive and massive statue is a part of Museum of the Great Patriotic War, placed on the right bank of Kiev. The most amazing view of Kiev you can enjoy while standing on the hill. This incredible statue weights more than 450 tons, was made from titanium. The giant statue is 203 feet upon the museum building with the overall structure measuring 335 feet. The most interesting fact is that the statue can withstand earthquake of nine points. You will be impressed by the oldest buildings of the Right Bank, and the modern buildings on the Left Bank. 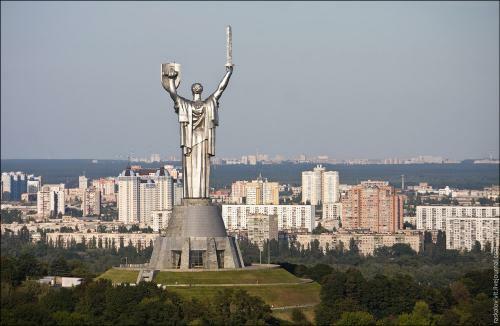 The statue of Mother of the Motherland was built by Yevgeny Vuchetich, opened in 1981 in Kiev. 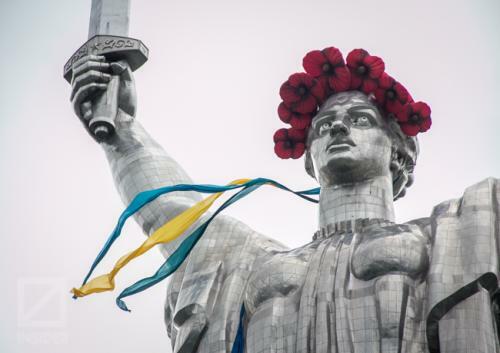 Many Ukrainian people do not like this statue as it reminds the days when Ukraine belongs to the Soviet republics, but most of locals feel it is an architectural disaster. It does not matter when you will come to Kiev day time or in the night, the impressive statue, Mother Motherland will greet you in a way that you cannot overlook. Without Mother Motherland it is really difficult to imagine the face of modern Kiev. For those who want to enjoy the incredible view of Kiev from the highest point, the entrance will cost you 200 gruvna. Working hours - from 10.00 a.m. till 17.00 p.m. everyday except Monday.